Celebrities aren’t always dressed to the nines. In fact, quite often they can be found dressed down in casual ensembles. It seems that even in the celebrity world, chasing a toddler around or heading to the grocery store calls for a trusted and comfy pair of jeans. Of course, just because they went for comfort over high fashion doesn’t mean that these celebs don’t have style. 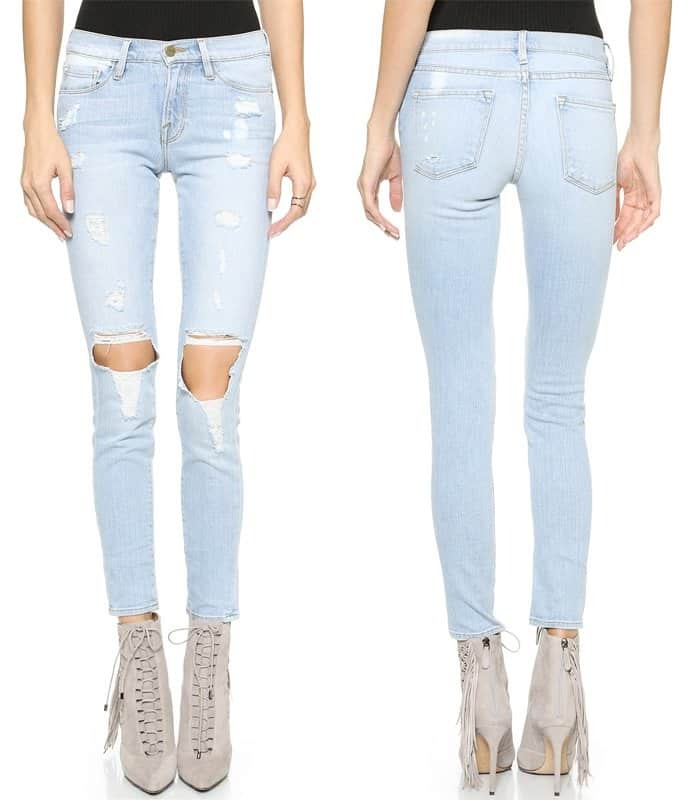 If you are wondering just what denim brands are the most popular with your favorite stars, then look no further! 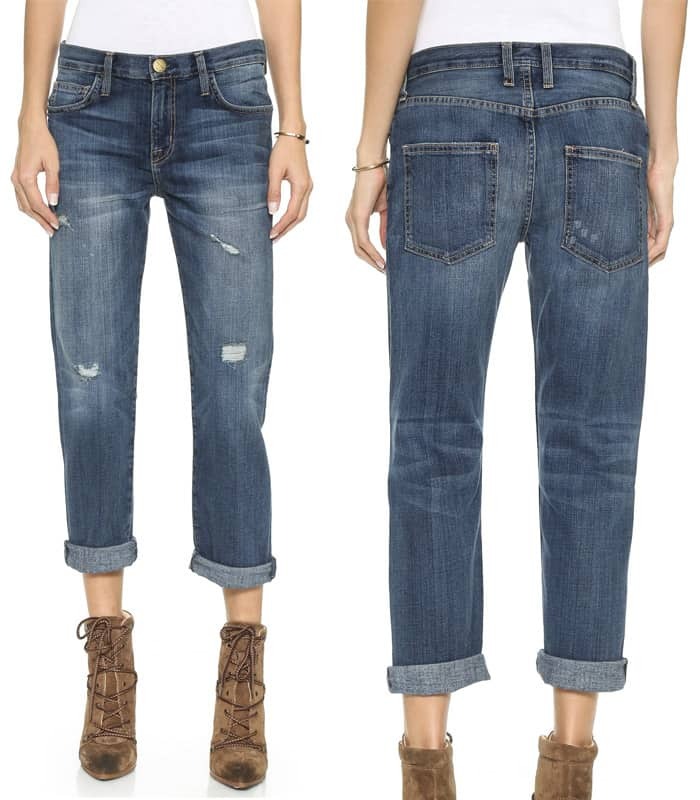 We’ve compiled a list of the most popular celebs’ go-to jean brands for you to keep in mind when you’re feeling like a more casual, jean-worthy outing. This California-based company is a trendsetter. 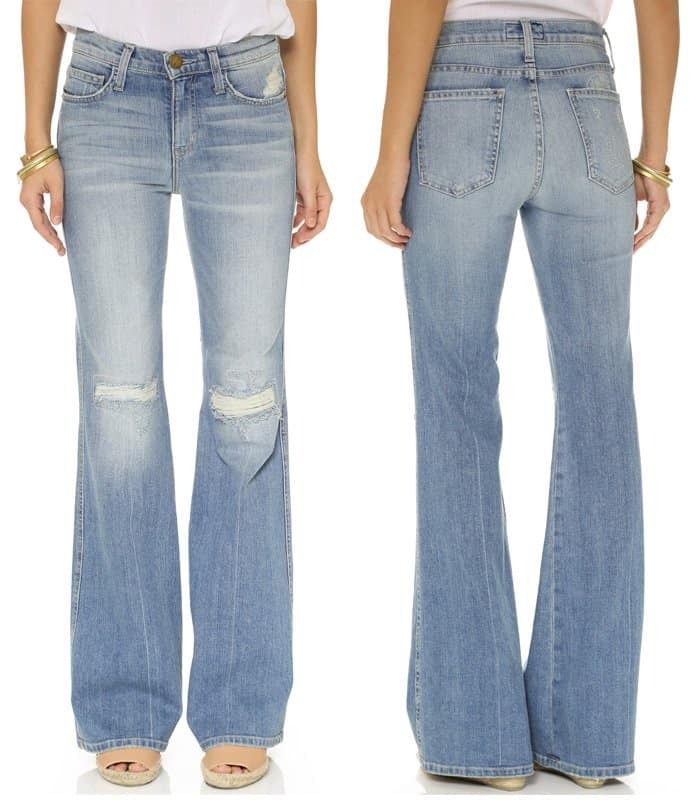 They helped the skinny jeans trend explode back in the early 2000s and then made sure flare jeans eventually found their way back to the spotlight. 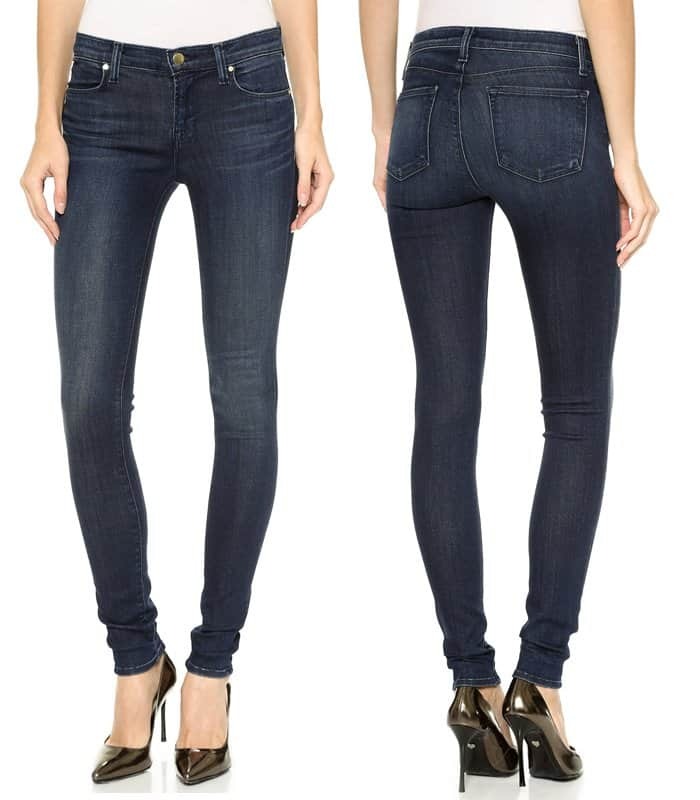 Some of the die-hard J Brand fans are Hilary Duff, the Kardashian sisters, and Heidi Klum. The singer wore her J Brand “Alana” crop jeans with an ombre sleeveless shirt, a pair of boots, a fedora hat and her Saint Laurent “Anita” fringed flat bag. The actress wore her J Brand “910” skinny jeans in ink with a cute Rodarte Spring 2015 hand knit wool ruffled sweater, a Sonia Rykiel embellished hobo crossbody bag, a pair of Oliver Peoples “Lou” sunglasses and a pair of black flats. This Los Angeles-based company was founded by Paige Adams-Geller. They have since accumulated a number of popular fans such as Gigi Hadid, Rosie Huntington-Whiteley, and Lily Collins. The model wore her Paige Denim “Skyline” ankle peg beachwood destructed jeans with an Isabel Marant “Gabriel” pink chevron wool coat, a Chloe “Alice” large leather tote and a pair of Celine “CI 41801/S” sunglasses. 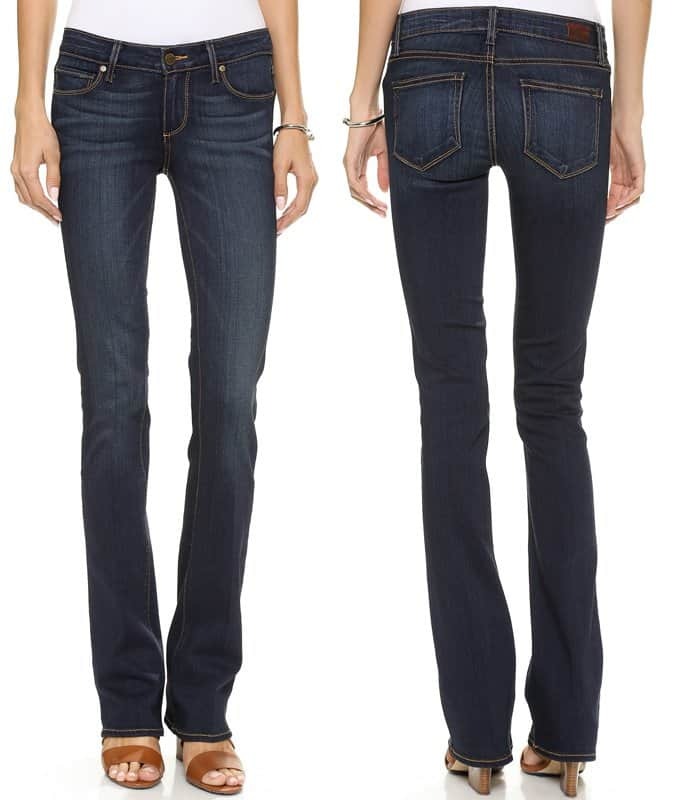 Exiting LAX, the actress looked chic in a pair of Paige “Edmont” jeans in Montauk grey. She wore them with a Dsquared 2 distressed denim shirt, Michael Michael Kors “Riley” leather satchel in peanut and Jennifer Meyer “Cougar Town” turtle pendant. This brand has headquarters in both Los Angeles and London, giving them an international appeal. Alessandra Ambrosio, Kate Bosworth, and Cara Delevingne are huge fans of the brand. Never one to shy away from funky fashion trends, the actress wore her Frame Denim “Le High” flare overalls in Eton Avenue with her Loewe “Amazona” 75” woven suede satchel, Matisse x Kate Bosworth “Kelly” sandals, and Zanzan Avida “Dollars” sunglasses in Tokyo tortoiseshell. The model made a statement when she wore a Chanel Pre-Fall 2015 top and boots with a Frame Denim “Le Color” rip skinny jeans in film noir. With over a decade of experience in crafting and tailoring jeans, it is no surprise that this LA-based brand has accumulated a vast number of loyal followers including Amal Clooney, January Jones, and Rita Ora. The actress dressed up her high-rise Citizens of Humanity jeans with a gingham button-down shirt and a pair of lace-up oxfords. The British pop singer wore a pair of Citizens of Humanity “Corey” slouchy slim jeans in bourbon with a pair of Tommy Hilfiger “Star” boots, a printed shirt, a printed button-down, and a denim vest. 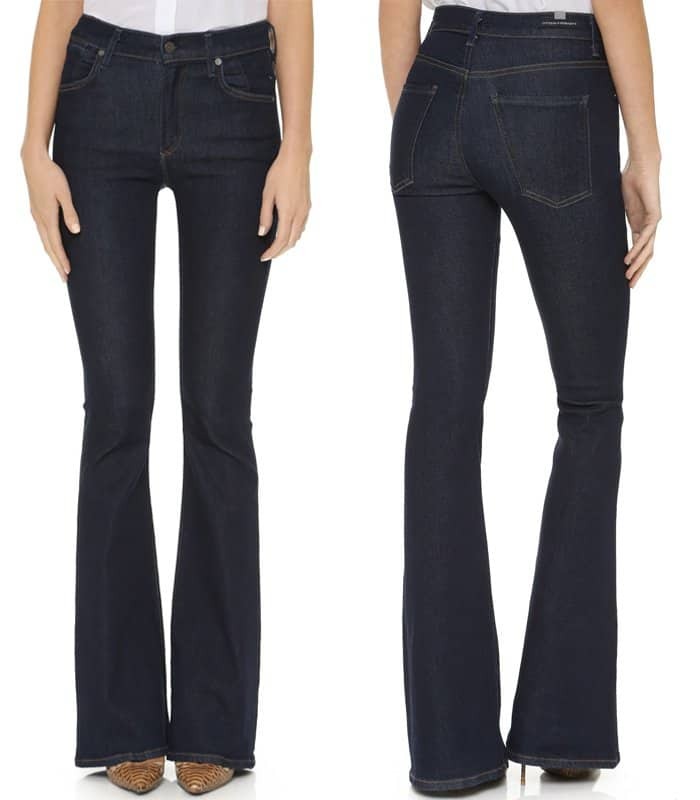 Founded by Emily Current, Merritt Elliott, and Serge Azria, this company has created jeans loved by many including Sofia Vergara, Megan Fox, and Emma Roberts. The actress wore a pair of Current/Elliott high-waisted skinny jeans with a Coach wild beast short peacoat, a Pam & Gela twist back pullover, Jason Wu “Daphne 2” leather crossbody bag, a pair of Alexander Wang “Zoe” oxfords and a pair of Quay Kitti coffee sunglasses. Sofia wore her Current/Elliott “Fling” jeans in Point Break Destroy, Miu Miu suede sandals, Prada “Daino” side pocket tote bag in Argilla and Tom Ford “Jennifer” sunglasses. Take it from these A-list celebrities; if you can find one brand of jeans that suits you perfectly, consider it your go-to jean brand. We’re positive you can find a brand that will work for your body type and height just like these celebrities! 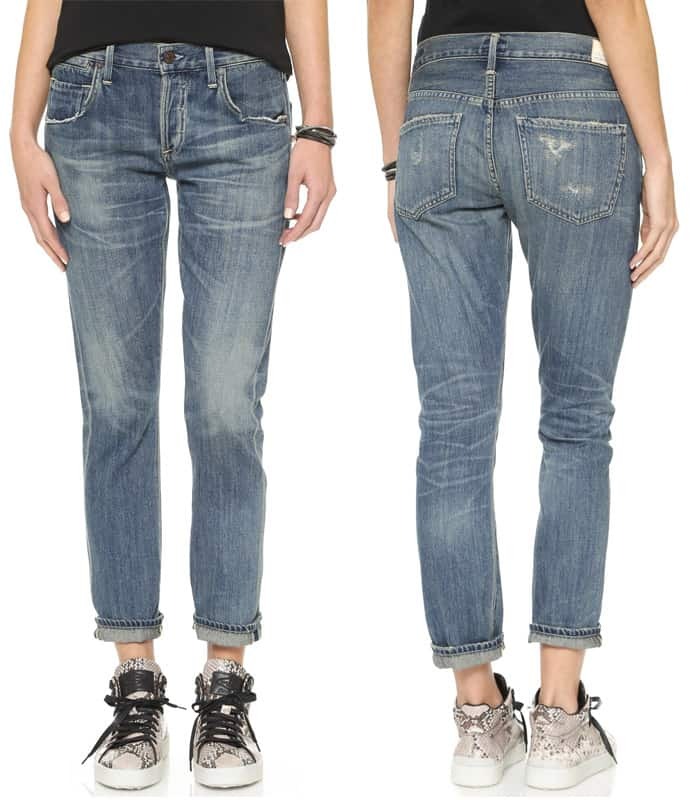 Now that you know the top celebrity denim brands, are you surprised? Let us know by leaving a comment below!